Elder abuse and neglect occurring in nursing facilities is a serious problem in the United States. While physical assault is the most obvious kind of abuse on the elderly, emotional and mental abuse are most common, where residents are victimized by the nursing staff or other residents in the facility. 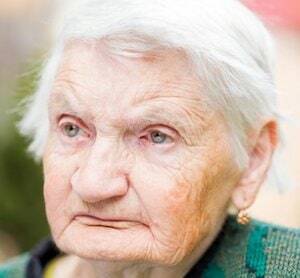 In fact, The Naperville nursing home abuse & neglect attorneys at Nursing Home Law Center LLC handled many cases of abuse, neglect, and mistreatment and have seen a significant rise in the total number of neglect cases involving the elderly throughout Illinois. The federal government through Medicare collects information every month on all nursing facilities in Naperville, Illinois based on data gathered through investigations, surveys, and inspections. The publicly available database reveals that investigators found serious deficiencies and violations at forty (34%) of the 117 Naperville nursing facilities that cause injury or premature death to residents. If your loved one was mistreated, abused, injured, harmed or died unexpectedly from neglect while residing in a nursing home in Illinois, let our team of lawyers protect your family’s rights. Contact the Naperville nursing home abuse & neglect attorneys at Nursing Home Law Center (800-926-7565) today to schedule a free case review to discuss filing and resolving a claim for compensation to recover your damages. Out of the nearly 147,000 individuals residing in Naperville, approximately 12,000 of those residents are senior citizens, many of them living in nursing facilities in the community. That number almost doubles when the number of retirees living in all of Kane and DuPage County are counted. Many stories involving elder neglect are horrifying, where residents are left in soiled diapers, wet sheets and dirty clothing because previous shifts were understaffed, overworked or uncaring. Our Illinois nursing home neglect attorneys have served as legal representatives for many victims of nursing home neglect and abuse in nursing facilities all throughout Illinois. To assist families, our Naperville elder abuse lawyers continuously compile lists of nursing facilities in the Kane and DuPage County area. We outline many health concerns, opened investigations and filed complaints occurring in nursing homes. This information is gathered through state and federal databases including Medicare.gov. The list below details publicly available information on nursing facilities in the Naperville community that currently maintain a below average rating according to national statistics. Many of these facilities have serious health concerns in providing an acceptable standard of care. Families often use this information before placing a loved one in the hands of skilled nursing care givers. The state surveyor conducted on 04/08/2015 10:00 AM interview with the Wound Nurse who stated “the wound was acquired here, and healed before, but the wound reopened in December 2014. The wound was not avoidable due to the resident having vascular issues and declining from eating independently to needing to be fed. An interview conducted by the state surveyor with the facility’s Restorative Nurse on 04/20/2015 at 1:40 PM indicate that “the bed alarms are checked by the Restorative Aides and Certified Nursing Assistants. The California Gardens Nursing and Rehabilitation’s 11/24/2014 Progress Note reveals that a resident was admitted to the facility with a high indication of being at risk for a fall. If you suspect your elderly loved one has been emotionally, psychologically, physically, mentally or sexually abuse, it is crucial to report your suspicions immediately. Contact government officials, the facility’s Administrator and the Director of Nursing. Speak with an attorney who specializes in nursing home abuse cases. With an attorney on your side, you can take various legal steps to remove your loved one from the facility or bring a medical team of specialists into the nursing home to provide quality care immediately. Can I Afford a Lawyer to Represent Me in a Napervile Nursing Home Abuse Lawsuit? If you your loved one has been neglected or abused while residing in a nursing facility, you can get help to stop the mistreatment immediately. The Naperville nursing home abuse attorneys at Nursing Home Law Center LLC can provide numerous legal remedies and take appropriate actions including contacting legal authorities on behalf of your family. Our Illinois team of dedicated qualified lawyers represents clients with cases involving neglect, mistreatment and abuse happening in nursing facilities throughout Kane and DuPage County. Schedule your free, no obligation full case review today by calling our Chicago area elder abuse law offices at (800) 926-7565. We handle all nursing home abuse, personal injury and wrongful death cases through contingency fee agreements. This means all of your legal fees are provided immediately without an upfront fee. All information you share with our attorneys remains confidential.